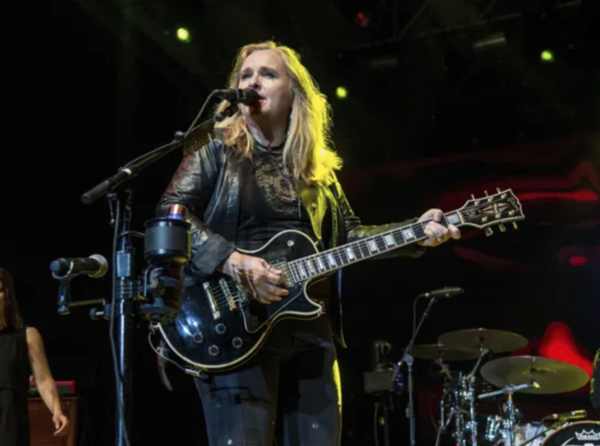 Melissa Etheridge strolled onstage to a rock star’s reception: A sold-out Southwest Florida Event Center packed with cheering, whistling, deliriously rowdy fans. 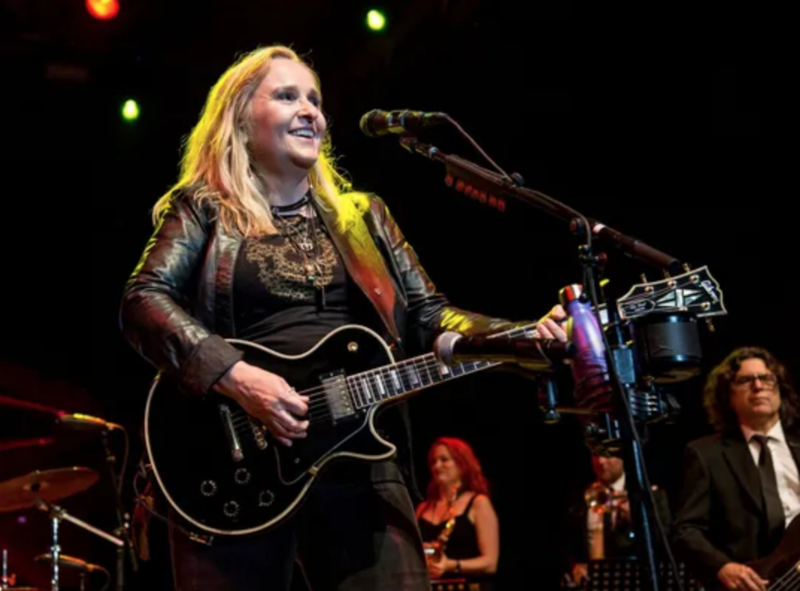 Etheridge smiled as she strapped on the first of many, many guitars Friday night. They love Etheridge at the Bonita Springs venue. She played there last year, and that show sold out, too. Now she was back again, kicking off her new “The Medicine Show” tour with the first of two concerts at Southwest Florida Event Center. She’ll return Saturday night for another, nearly sold-out show. And Etheridge certainly didn’t disappoint. Friday’s tour opener delivered just what you’d expect: Two hours of earnest, emotion-packed folk-rock about love, lust, yearning, passion — and did I mention lust? If Etheridge is anything, she’s a woman of fiery, burning passion. And those themes — fire, heat, burning — come up often in her songs. As in the fire and heat that inflames the heart and ... well, other places too. Most of those songs date back to Etheridge’s heyday in the late 80s and early 90s, a time when she said she was in her 20s and going wild with love and lust. So did Etheridge’s concert Friday night. Her voice was in fine form — that famously gritty, raspy-raw howl that could probably strip the paint off the walls (and I mean that in a good way) — and her band provided solid, tasteful backing on a varied and satisfying setlist. Highlights included the achingly intimate, hushed power of “Precious Things”; the bouncy, hummable pop of “Lucky”; and especially “Silent Legacy” — a favorite of Southwest Florida Event Center co-owner Jennifer Shanahan, a longtime Etheridge fan who’s the main reason the folk-rocker came to Bonita Springs in the first place. The song started quietly, hushed and reserved. But then it kept building and building, growing in power and fury, almost unbearable in its intensity until finally — finally — it ended with a cathartic, releasing yowl of liberation. And it felt so, so good (although, admittedly, it could have been even more cathartic. Etheridge cut that final yowl frustratingly short. Perhaps she’s saving her voice for the rest of the tour?). 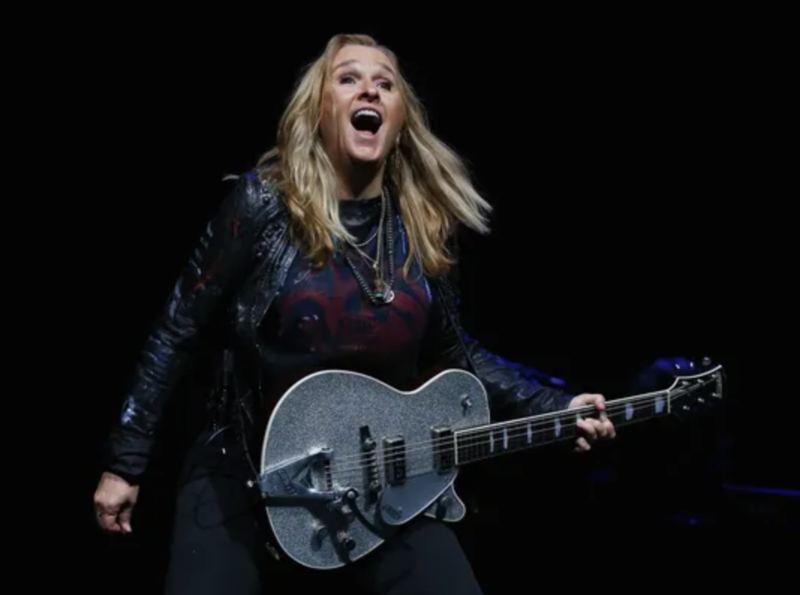 Etheridge wrapped things up with that extended jam on the raucous, grooving “Like the Way I Do” — including putting down her guitar to join her drummer for a pulverizing tandem drum solo — plus that audience sing-along to “I’m the Only One” and even a gleeful selfie-style Twitter video with the audience. It was a night of raw, heart-on-your-sleeve folk-rock full of love, lust and passion. Love in her 20s, she admitted, was much different than love now that she’s in her 50s. And that’s a good thing — for both Etheridge and the fans of her music. Keep those fires burning, Melissa. And keep those songs coming, too.